I made the statement today that I believed this miracle was as much for the disciples as for the people that were fed. Do you agree with this statement? Why or why not? Have you ever fully realized that Jesus has invited you to be involved in His work in the world? Do you feel as though you have answered this invitation? Many times, we feel as though we have inadequate resources for the tasks Jesus has called us to. Recall a time when you felt inadequate for the serving task God was calling you to. Jesus is able to do through the disciples what they could never do by themselves. He does this as they dynamically depend upon Him. What would it look like for you to maintain a dynamic dependence upon Jesus as you served Him? What stood out to you most about this message? Anything you are taking away from this message and want to apply? Great having family in town this weekend! 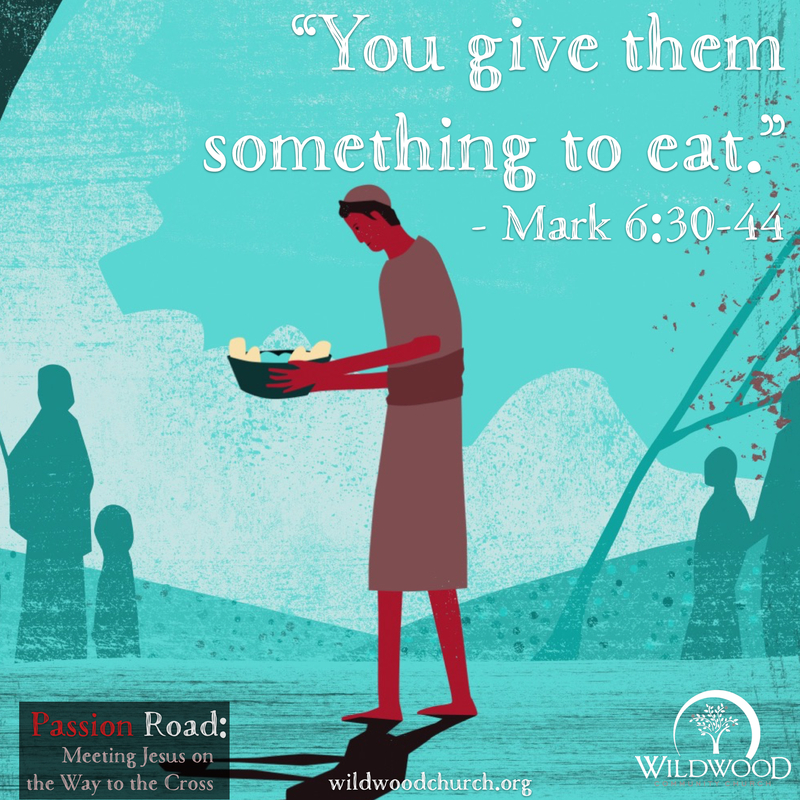 Join us tonight for Good Friday services at Wildwood. Scripture, songs, communion - remembering the sacrifice Jesus made for you and me. See you tonight.